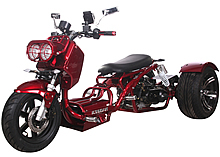 The all new 2019 Saber 200 Motor Trike is 100% street legal in all 50 States. 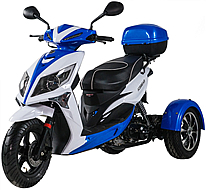 Equipped with a comfortable seat and foot pegs for two passengers, Three wheel disc brakes, Digital instrument display, Foot brake and Hand brake, Upgraded muffler and suspensions, Bright LED lighting system, Fully automatic transmission with Reverse. 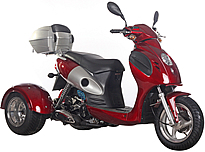 Comes to your door near fully assembled, just put on mirrors, charge battery, gas it up and you are ready to go! 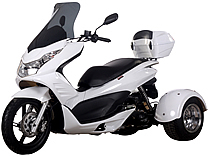 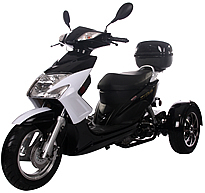 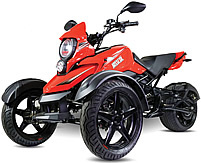 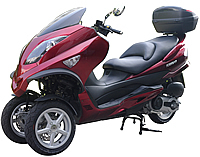 NEW ARRIVAL ~The All New ICE BEAR 300cc "ATLAS" Reverse Trike (PST300-20), Water cooled Automatic CVT Transmission. 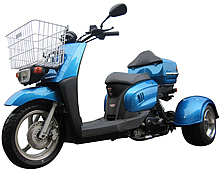 100% street legal. 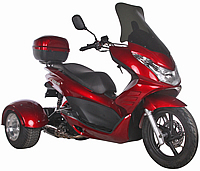 Sport car style wheels, Extra large disc brakes, Heavy duty front suspension and rear shock, Two-step Touring Seat for two passengers, Under-seat storage, Very unique and big headlights, LED taillight, Heavy duty windshield, Large rear trunk..